Meditation is a deep and broad subject, one that may be viewed through the lens of spirituality, science, or psychology, among others. 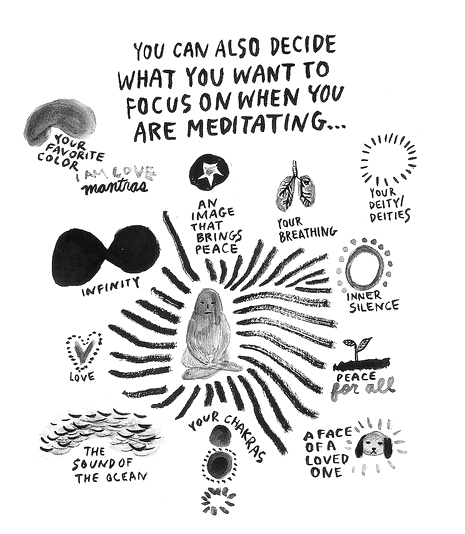 A million blogs can (and have) be written about meditation and all of its benefits. This blog, however, does not seek to be exhaustive, but rather to provide a simple and accessible way for the average person to begin a daily meditation practice for therapeutic benefit. That being said, if you begin your own practice and find it meaningful, I encourage you to explore all that it has to offer! Zen meditation, kundalini meditation, transcendental meditation, chakra meditation, and so many more. Embark on your journey and create a practice that works for you. Essentially, to build your “mind muscle”. So much of our suffering exists in our minds. Take, for example, an anxious college student who has a big project to present to the class. In the days and hours leading up to it, he may be thinking such catastrophic thoughts as “I am going to do terribly”, “what if I mess up?”, “I am going to look like an idiot”, and more. These thoughts trigger the adrenal glands to produce the stress hormone cortisol, which prepare the body for a flight-or-fight response by increasing the heart rate, producing rapid breathing, inhibiting digestion, and producing other symptoms such as sweating, shaking, tunnel vision, among others. Over time, this can lead to chronic inflammation, immune system suppression, gastrointestinal problems, cardiovascular disease, and other issues. Whoa. Not to mention, that all of the worrying could prevent the student from doing a good job on the presentation. Now, take a step back and imagine that instead of going down the rabbit hole with those worried thoughts, our college student instead was able to notice them, detach from them, and move on with the actual doing of his project without these interfering thoughts. Yes, this is what is possible when you have built up your mind muscle. Thoughts and emotions can come in and then go out; we do not need to attach to them! Keep it simple. The following are merely suggestions; feel free to take what you like and leave the rest. Create a little nook. It can help to have something cozy and eye-pleasing to draw you in. Use a little corner of your bedroom or somewhere else, throw a pillow on the floor, light a candle, have some books or rocks or anything calming and personal nearby to set the mood. Sit in a way that is comfortable, be it on the floor, on a cushion, or in a chair. Make your spine as straight as possible without straining. Begin with 2 to 3 minutes. First thing in the morning is preferable, as it sets a precedent for the rest of the day to be calm and centered, but if that doesn’t work with your routine, any time is fine. Use a timer on your phone, download an app, or check out http://www.onlinemeditationtimer.com/ for a free timer with intervals. Eventually, try build up to 10 to 20 minutes. But know that absolutely any time spent, even if minimal, is beneficial. Eyes- you may choose to close your eyes, keep them slightly open so you can see the tip of your nose, gently gaze at a candle, or turn them up and inward at the Third Eye. Play around and see what feels most comfortable. Pick something to focus on. I usually suggest the breath to start. You can just notice how you naturally breathe. A meditation teacher once pointed out to me how you don’t have to force yourself to breathe; your body naturally breathes you, and noticing this can be a very calm and peaceful thing. Be prepared to have thoughts flood in. A fallacy around meditation is that you are not supposed to have thoughts- wrong! Try instead to notice when you are having thoughts, and gently return your attention to your breath. You may have to do this 20 times in your 3 minute meditation- this is the building of the mind muscle. It’s hard but it pays off. Don’t judge! You may be tempted to scold yourself for getting lost in your thoughts- “I stink at this”, “I’m doing it wrong”, “I should just give up”. When this comes up, notice it and return to the breath. It’s just thoughts about thoughts. Stick with it! If you miss a day, it’s no big deal, but don’t let too many days go by. The effects of meditation occur over time- just once will be helpful for that day, but consistent, daily meditation over time will decrease stress-related cortisol, insomnia, depression, anxiety, panic; increase immune system efficacy, insight, and general well-being. Meditation alone will not treat your symptoms; trauma-focused therapy should be a part of your recovery plan as well. Be careful about sitting when traumatically triggered- try shorter periods of time, and active meditation with sound and/or chanting. Know yourself- if you are experiencing intense, overwhelming emotions consider skipping meditation at that moment and replace it with another relaxing activity instead. Stay grounded- open your eyes if needed, look at a candle. Hold something like a stone, crystal or stress ball. Light incense or listen to music. 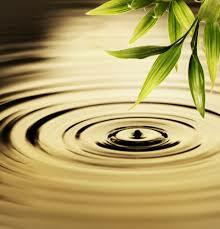 Be mindful that as awareness deepens, buried, intense feelings may come to the surface. Be prepared for this, and reach out to someone if needed. Meditation should be complemented with activities that are embodying- exercise, engaging in relationships/work, etc, to counteract dissociative tendencies. In other words, do not meditate in a vacuum. Consider meditating within a community rather than alone- check out local yoga studios or sanghas that may offer community meditations. My approach to therapy is one that I describe as being individualized, eclectic and creative. This means that I like to take elements from different therapeutic approaches and weave them together in order to find which combination has the best outcomes for each client. How do I do this? It is difficult to describe, as each session moves like a dance through my mind in which I strive to take in my client's emotional experience and play with ideas of interventions and creative solutions. I can offer an example of one way that I combine Cognitive Behavioral Therapy and Art Therapy. I find that CBT is useful for challenging and changing negative thought and behavior patterns in order to improve the way that we feel. I also find that CBT lacks the "heart and soul" or inner intuition that Art Therapy can bring into the room. Therefore, pairing the two is in a way the combination of mind and body, logic and emotion, thought analysis and innate wisdom. I would first like to introduce the idea of Cognitive Distortions. Cognitive Distortions are illogical inaccurate thoughts that our minds use to play tricks on us and convince us of things that are not based in truth. These distortions usually reinforce negative thoughts, emotions and self-perceptions. To read more about cognitive distortions and the 15 common types please click on the link below to read the article. Now let's imagine that you are struggling with some cognitive distortions. We can talk about them, name them, challenge them, practice replacing them with more logical positive thoughts. These are all researched methods of CBT with proven positive outcomes. I use these methods but I like to take it one step further with Art Therapy. In which case, I would likely ask you draw these cognitive distortions. Picture what they look like in your mind. What colors are they, what size, what shape, where are they located in your mind? Can you also draw how they affect your emotions, your physical body, your relationships? These questions are just the starting point because art therapy is a process and it takes each individual on a unique journey. I , as the art therapist, am the travel guide giving you the map and the tools to take the story one step further in order to find some insight, self-discovery, expression or solution to a problem. "Our Hope" Artwork created by adults on the inpatient unit at Rhode Island Hospital in the art therapy group. Art is for kids. I don't do art. I am a terrible artist. I draw like a three year old. These are just a few of the comments that I have heard more times than I can count when I mention art therapy to my clients. I actually love hearing these words. I immediately feel a rush of excitement that I may have the opportunity to show someone the power of art and reawaken their hidden inner creativity. When I was working in the psychiatric hospital setting with adults, I became an expert at talking people into trying to create something for the sake of creating. I would tell them that it doesn't matter what the end product looks like, what matters is what you experience through the process of making something. Even a scribble on a page can express something unique. What I always found mind-blowing was when I gave an entire room of adults the exact same art materials and the exact same instructions and each person would create something completely unique. It is so amazing to me that each and every person in the world has their very own unique experience and personality. I believe that art has the power to illuminate a glimpse into an individual's experience which can bring greater understanding and empathy to the viewer. Especially in the therapeutic relationship, whether in group therapy or one on one counseling, it can be a powerful experience to be seen and honored for who you are through something that you have created. I am finding that humankind is starting to move away from art-making where in historically art was respected for its story-telling ability. Now we tell stories through our computers and phones. This can be viewed as a type of creative expression, but I don't think that it has the same value as cathartically putting your unique mark on a page. As an art therapist, I can only hope that I can bring new life to art and new art to life through encouraging people to create. I was elated to see that Psychology Today published an article on the therapeutic benefits of art and proposed that art is for everyone. So if after reading my blog and the article above, you are still skeptical, I would love to meet with you and be challenged with the task of convincing you that art is indeed for everyone. Mandala is the Sanskrit word for circle. Much more than a circle, it is a symbol for wholeness, with no beginning and no end. Its shape is one that has been existent in nature since the beginning of time. One can find its shape in a cell, a flower, a tree, a snowflake, a hurricane, or even in a familiar face. The mandala is a quiet power, silently inherent in our lives, whether or not we consciously know of it. For thousands of years, the mandala has been used throughout the world in many different ways; functioning as calendars, astral observatories, ceremonial centers, and objects of ritual and meditation. What makes the mandala a universal symbol is the fact that regardless of religion, lifestyle, beliefs, and values, all cultures have made use of it in one way or another. I wrote my art therapy master's thesis on mandalas and their effect on adolescents with anxiety and depression. I have found that over the years, my experience with using mandalas in counseling has supported my original theory that mandalas provide a safe space for healing creative expression. No matter the age, ethnicity or problem of the client, as long as they were willing to create, I have witnessed that the response or outcome has been the same. I have seen individuals who have not picked up an art material since they were a child, find that the circle invited them to express an emotion through art in a way that their words could not express. I have also observed the mandala's power as a tool for relaxation and mindfulness, where in the act of coloring a balanced design brought peace and focus to one's state of mind. In conclusion, and to put it more simply, I have witnessed mandalas work wonders for my clients, so they may work for you too. I invite you to trace a paper plate on a page and scribble something inside. It doesn't matter what it looks like, because it represents your inner emotion and energy, which is not meant to be judged. Or if you would like to try to color a mandala design, put on some calming music and focus all your attention on the colors you choose and the motion of your hand on the page. For some free printable mandala designs, click on the link below.